C40/P0505 The circuit voltage of motor drive is unusual. Isc valve circuit open or shorted to ground. Isc valve preset position is incorrect. C40/P0506 Idle speed is lower than the desired idle speed. C40/P0507 Idle speed is higher than the desired idle speed. be careful not to disconnect the isc valve coupler at least 5 seconds after ignition switch is turned to off. 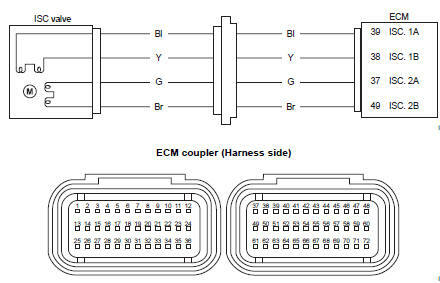 If the ecm coupler is disconnected within 5 seconds after ignition switch is turned to off, there is a possibility of an unusual value being written in the ecm and causing an error of isc valve operation. Check the isc valve coupler (1) for loose or poor contacts. If ok, then check the isc valve lead wire continuity. Disconnect the isc valve coupler and ecm coupler. Refer to “ecm removal and installation” in section 1c . Check the continuity between terminal “a” and terminal “39”, terminal “b” and terminal “38”, terminal “c” and terminal “37”, terminal “d” and terminal “49”. Check the continuity between each isc valve terminal and ground. 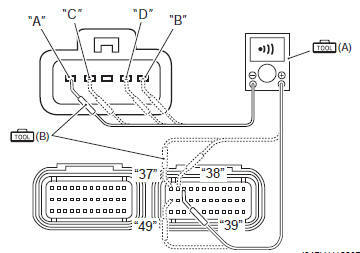 If ok, then measure the resistance (between the bl wire terminal “a” and y wire terminal “b”) and (between the g wire terminal “c” and br wire terminal “d”). Is the resistance ok? If wire is ok, intermittent trouble or faulty ecm. Replace the isc valve with a new one. 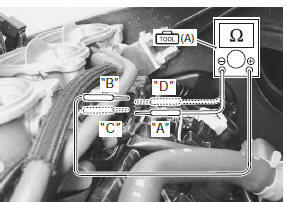 Refer to “throttle body removal and installation” in section 1d (page 1d- 10). Check that the engine is running. 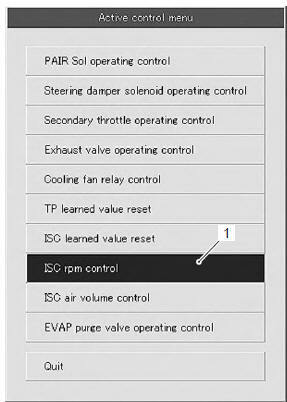 Click the “isc rpm control” (1). Check that the “spec” (2) is idle speed 1 150 ± 100 rpm. Check that the “desired idle speed” (3) is within the specified idle rpm. Click the button (4) and decrease the “spec” (2) to 1 050 rpm slowly. Check that the “desired idle speed” (3) is nearly equal to the “spec” (2). At the same time, check that the number of steps (5) in the isc valve position decreases. Click the button (6) and increase the “spec” (2) slowly. Check that the “desired idle speed” (3) is nearly equal to the “spec” (2). Also, check that the number of steps (5) in the isc valve position increases. Click the button (6) and increase the “spec” (2) to 1 500 rpm slowly. Click the button (6) and increase the “spec” (2) to 1 900 rpm. Check that the “desired idle speed” (3) is approx. 1 900 Rpm. Check that the “engine speed” (7) is close to 1 900 rpm. be careful not to increase the “spec” to 2 000 rpm, or the “engine speed” may reach the upper limit. If the isc valve does not function properly, inspect the isc valve or replace the isc valve. 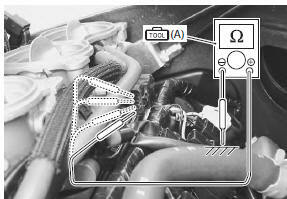 Refer to “dtc “c40” (p0505 / p0506 / p0507): isc valve circuit malfunction” or “throttle body disassembly and assembly” in section 1d .